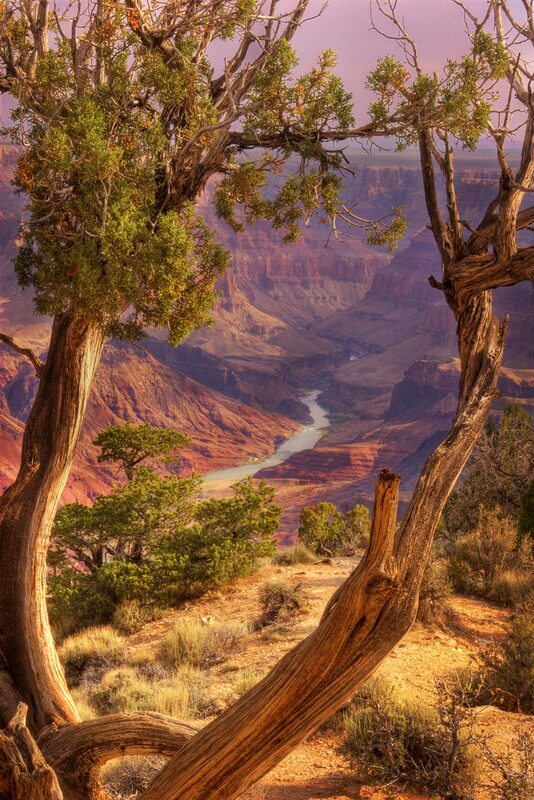 This photograph was taken at Grand Canyon National Park at 7:55 AM. A bristlecone pine on the canyon’s south rim frames the Colorado river which winds in and out of the early morning light on the canyon floor below. This photo was a finalist in BetterPhoto.com’s contest for February, 2010. Canon 20D f/29 1/8 sec. ISO 100 28-200mm lens @64mm. To purchase this photo, click here.